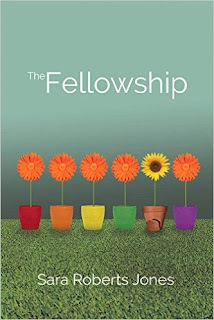 The Fellowship , by Sara Roberts Jones has been sitting around my house waiting a horrid long period of time to be reviewed. I was asked to review this book in November. Jones is a familiar character to me, as we probably have about seventy-five mutual friends (give or take). I remember meeting her once, but she doesn't remember me. Way back "in the day" I used to stalk her blog and read what she wrote for her local newspaper. Sara is a clever gal and quite witty. I've always enjoyed her writings. I knew that one day she'd get around to writing a book and, as it turns out, that day has come. For years I have been waiting for this book and then when I was notified of its existence, I felt a sense of fear and trepidation.The timing for the discovery was all off! Sara contacted me the day after I published this review in which I felt I had rather emphatically stated that I was done talking about ATI and Bill Gothard. Her book smacked of the Recovery Grace agenda which is to, well, re-emphasize grace over legalism. This is not a message I object to as a general rule. I just get miffed in the presentation because I think sometimes the Recovering Grace people swing too far in the opposite direction displaying more a sense of anger and lack of grace and I find that off-putting (and ironic). God's grace and God's law go hand in hand and I resist any message which says otherwise. All things considered equally, RG folk would probably argue that God has laws to be followed but that they reject the man made laws which are designed to be followed in addition to those prescribed in scripture. I would agree with them in this if they would state this point excessively clearly and more humbly. In short, I think they need to turn down their emphatic remarks which come across as rather harsh and, frequently, unforgiving. While I very much wanted to read a book written by Sara, I also didn't want to take on any book reading "project" which had the potential to wreck relationships because, by golly, this whole Bill Gothard mess has wrecked a good number of them already and I don't feel an exception to this rule. Adding to the victims and the brokenness is something I feel very adverse to doing. But! Sara finally wrote a book! I (finally) agreed to read it after exchanging a series of e-mails in an attempt to confirm that there was zilch possibility of hurting her feelings (or anyone else's) if I disagreed with it or flat out didn't like it. We eventually agreed it was a safe enough bet and so I accepted it for review, with a mind to read it in January. Only there was a book sitting on my table by Sara Jones and it was calling my name. I read it in two days flat back in December. I didn't want to rushed into a review though, preferring to let my thoughts percolate a bit. I guess it's been a "bit" and I should say something. Let's start with discussing what this book is about, shall we? Bekah Richards is Jones' leading lady. Bekah has grown up in the Fellowship of True Christian Churches which is clearly a cult of legalistic Christians. The community in which she lives is all law and no grace. As is the case in such communities, you can live a strict public lifestyle but home life tends to be more relaxed because, let's face it, it's hard to live up to rules and expectations and pressures 24/7 without eventually cracking. The Richards family is unique for several reasons, one of which is that Bekah is an only child. Most people in the fellowship have large families. All the girls everywhere and in every direction wear skirts, submit to their father's authority no matter the foolishness, obey the church rulers, refrain from listening to "ungodly" music and live generally subdued lives. Bekah is a girl with spirit though and we meet up with her at a time when she is living outside of the community while being employed at a local garden nursery. Her lifestyle is frowned upon by those in authority over the churches and eventually she is cajooled into returning to the fold. This entire story revolves around Bekah's re-integration into the fellowship and ultimate fall-out. I was prepared to be on my guard when reading this book but I should have known that Sara would have me relaxed within just a few chapters. Although the point of the book is clear - to poke holes in a lifestyle of legalism and show its dangers - she does it with grace (har, har) and finesse. I have always been entertained by Sara's writing and The Fellowship proved no exception. I was hooked on the story of Bekah from the get-go. This book probably goes further in communicating the problems with legalism than any Recovering Grace argument which I've read yet. (And yes, I have spent a good period of time browsing their articles and reading people's personal blogs enough to have formed my opinion.) Works of fiction have a great power to form a person's thoughts and make a point in a manner which is less forceful than a blunt argument. Sara tells her story well and with her usual good humor which had me laughing out loud for several minutes once or twice. And again, I heard her arguments as to why there is a great need for those who have grown up in the ATI (or any legalistic) culture to see and understand grace. Jones makes her point in a delightful way, if I do say so myself. I thoroughly enjoyed this book. It was a satisfying read to me for many reasons, the chief being that I knew Sara to be a good writer. Secondly, I enjoyed it because she makes her point graciously, causing the reader to see why all the fuss. 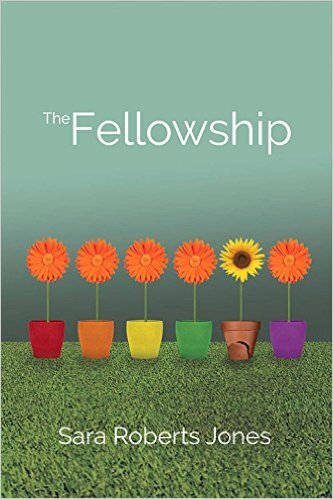 Whether you know about ATI/Bill Gothard/Doug Phillips/Vision Forum/patriarchal movement or not, I feel very comfortable suggesting The Fellowship as a title for you to check out and enjoy. I promise Sara Roberts Jones will provide you with a diverting good time if you'll check out her book. Or her blog. Or anything that she writes anywhere. She's very cheeky, down to earth, thoughtful, caring, witty, and I've always thought she seemed kinda fun. I do heartily recommend this read for a good time. I also recommend it if you want to understand what the Recovering Grace people are trying to do and why. She paints a picture which explains much about the passionate feelings behind their movement. (Can I call them a movement? They call everything else a movement so I think they should be a movement also. All's fair. Ha. Ha.) My argument back at the RG folk has always been that they need to exert a little bit more grace and humility themselves if they want people to hear what they are saying and care in the least. Well? Sara delivered the humility and grace I've been looking for. And I loved her book. So interesting to hear some of the emotional backstory before you could say yes to the review. :) Glad it was as great as you'd hoped! This sounds interesting. And humility and grace are indeed refreshing filters through which to make a point. Sara wrote a wonderful book. It opened the eyes of alot of people in my world that didn't understand. Thank you Sara.